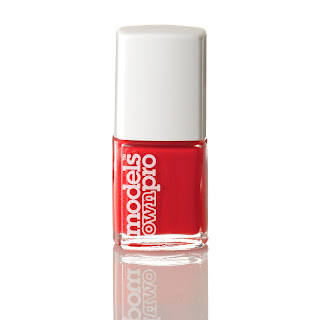 I'm a big fan of Models Own polishes which offer smooth formulas in a wide variety of shades at value prices. The brains behind the brand have clearly been busy putting their heads together, with the introduction of the world's most expensive polish at the end of 2010 and now news has reached me that they are to launch a specialised Pro range into selected Boots stores (who are investing on improving their nail offering) on 7th March. I haven't been able to try a polish as yet- in fact, the range is so new that the press release hasn't even been drafted but I'm excited to discover something new to feed my polish habit and was keen to hear as much pre-launch info as possible! Based around salon formulations, the polishes will include innovative "Grows Fast. Fades Slow" technology- a combination of Vitamin E and UV Filters to promote nail growth and prevent fade respectively. If the technology lives up to its claims, I'll be stocking up on colours for the summer as one of my pet beauty hates is the way in which bright colours fade in the sun. I haven't heard any hints as to the hero colours to look out for although my source told me that there will be 50 limited edition trend-led shades to choose from. The polishes will be priced at £8 each which is a jump from their existing range but certainly isn't prohibitative.